Eggnog Flavored Biscotti made with butter, eggs, rum extract and nutmeg. Preheat oven to 325 degrees F. Line a large baking sheet with foil. In the bowl of a stand mixer, combine butter and sugar. Beat with the paddle attachment until creamy, then beat in eggs, rum extract and vanilla. Weigh out your flour (or stir it well to aerate, then carefully measure). Add the baking powder, nutmeg and salt to the flour and stir until very thoroughly mixed. Add flour mixture to the egg mixture, stirring until fully blended. Dough should be a little sticky. Transfer dough to a floured pastry mat and shape into a 13 inch long roll. Place roll on prepared baking sheet and press roll down to about 1/2 inch, gently shaping so you have a log that's between 13 and 14 inches long. If you want, you can taper the ends a bit. Bake for 25 minutes or until golden brown, then transfer to a wire rack to cool slightly. When biscotti is cool enough to handle, cut cross-wise at a slight diagonal into 1/2 to 3/4 inch slices (20 slices). Stand the slices on the baking sheet. 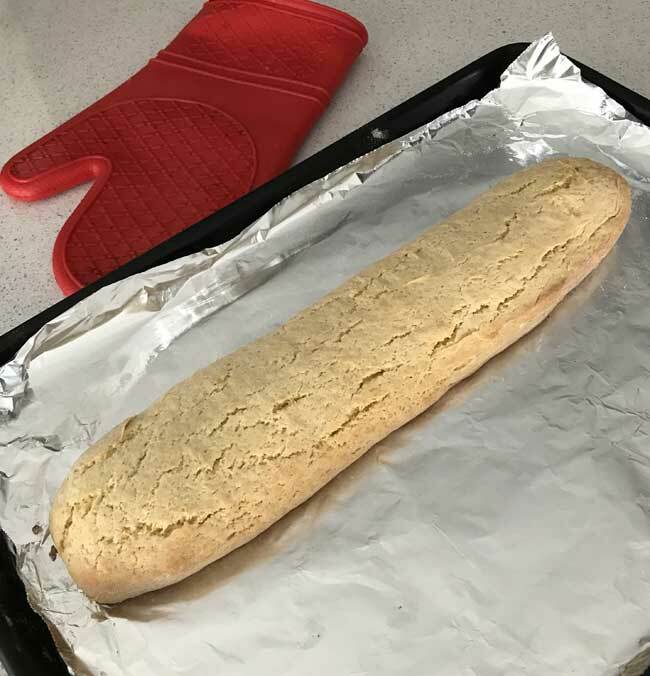 Reduce the heat to 275 degrees F.
Bake for about 25 minutes or until bottoms brown a tiny bit and biscotti is no longer moist. Let cool completely. To make the glaze, whisk all the ingredients together until smooth. Drizzle over biscotti. Stand biscotti pieces on a cooling rack set over some paper towels or foil and push the biscotti together so there's no room between the pieces. Drizzle with the icing and allow it to set.